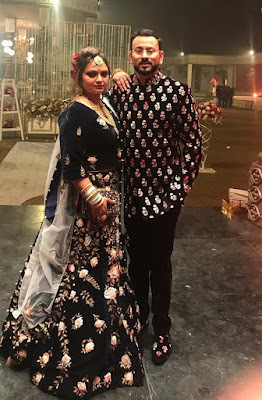 27th December 2018, New Delhi: Ms Ummat Nasim hosted the Wedding reception ceremony of his son Nadeem Ahmed and daughter in law Mizna Gul at Chhatarpur Central. The décor of the entire wedding was entrusted to Ferns & Petals. Family and friends thoroughly enjoyed the beautiful setting, delicious food over live music. The guests included Moin Azam Khan (Actor) Vijay Gurdiyal Berliya (Chairman, Apeejay Groups), Syed Aijaz (Sr. Director Pvt. Banking ENBD), Amit Aggarwal (V.President, ICICI Bank), Mohd Saif, Minhaj Ahmed, Wasim Ahmed, Arzoo Aijaz, Dr. Rukshanda Taiyab, Salma Saif, Syed Kaif, Saniya Saif and many more.